Flashback Wednesday! One Show Only! Part of our Flashback Film Series! Elliot is your normal boy, until one day, when he meets a little lost alien. Elliot decides to keep the alien, in which he gives the name E.T. 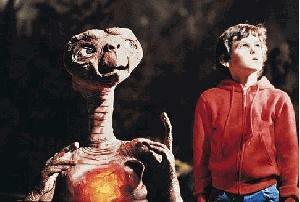 Elliot works with E.T. in trying to find him a way to get back home. Elliot must make the difficult sacrifice. Whether to help his new friend or to lose him? Whatever the decision is, Elliot must keep him hidden, as someone else is out to look for him.